Installing a built-in underground sprinkler system is a big financial commitment, however, the savings in time and water, and the convenience and consistency of results in keeping your lawn alive will make you wonder how you ever lived without an irrigation system. Whether you are considering a system at your residence or at your business site, once you have automatic watering installed you’ll never find yourself pining for the old days of manual watering. 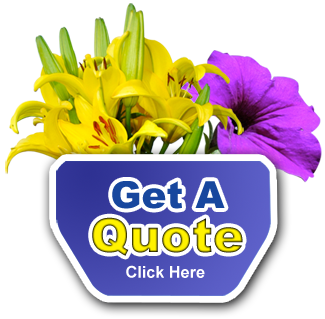 We take our three generations of experience in the landscaping business and make it work for you. Like any large scale project, installing a fantastic sprinkler system begins with a design layout. At Mirage Landscaping of Calgary, the planning of an irrigation installation plan is personalized to your needs and accounts for a whole host of factors such as the size of the area to be watered, its shape and contours that effect where the applied water flows to, the variety of water needs demanded by the existing plantings, the water pressure your building’s plumbing can deliver, and the exact number and style of sprinkler heads your property requires. A sprinkler system is only as good as its brains, and we will go over the control features with you too. You may require only a straightforward timer for a simple one valve system or you may need a microchip controlled programmable zone system that delivers water at varying rates in different parts of your property at different times, or operates using a selected sequence of timed watering. In the dim mists of time, installed sprinklers came in one form, buried metal pipes with exposed standing heads, which were impact style heads made from relatively expensive machined brass or zinc. You manually turned on these sprinklers but they watered everything at once with the familiar “tische, tische, tische–tokka, tokka, tokka,” as the heads rotated and returned like a smaller version of agricultural irrigators. With the revolution in injection molded plastics, innovation came to underground sprinkler systems. PVC pipe made following the contours of complicated landscaping easier to properly irrigate. Pop up sprinkler heads started with expensive systems and eventually became common and then a standard feature. Beyond merely spraying in a set pattern or rotating on a predetermined arc, sprinkler heads were also designed to burble water in a limited flood of an area or even to provide plant specific drip irrigation in spots of the yard where spraying wasn’t desired. Mirage Landscaping has the vast experience and expertise to walk you through all of your brand, water delivery styles, materials, and control system choices necessary to create an underground sprinkler system that not only provides year after year of great service, but also keeps you within a budget you select. At Mirage Landscaping of Calgary, not only do we stand by our own work, if someone else has installed a sprinkler system in your property, we will learn its components and layout to maintain it for you just like we had installed it ourselves. We map out our irrigation systems and deliver you a copy for reference. If someone else did the work, we’ll map out those details for you if you don’t already have one. When we install your sprinkler system, we understand, from long experience, how Calgary’s cold winters impact your system. When we are installing your control valves and pipes, we are careful to get everything installed well below the frost line. We design our systems to incorporate anti-back flow valve, and we design them to be both easily drained and blown out. If you don’t know why you’d want an anti-back flow valve, or why you’d want your system blown out with compressed air ahead of winter, we are always happy to discuss these points with both current clients and prospective clients. 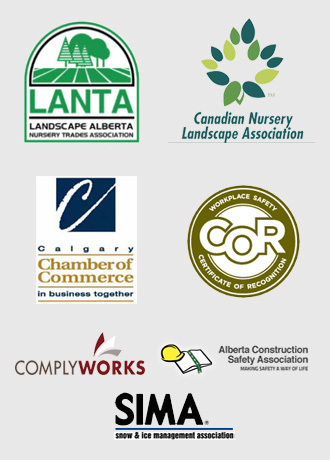 Mirage Landscaping provides residential and commercial landscaping construction, design and maintenance services throughout Calgary and area. No matter how large or small your property, from full scale high pressure systems to micro irrigation, we offer free quotes on every conceivable sprinkler installation.